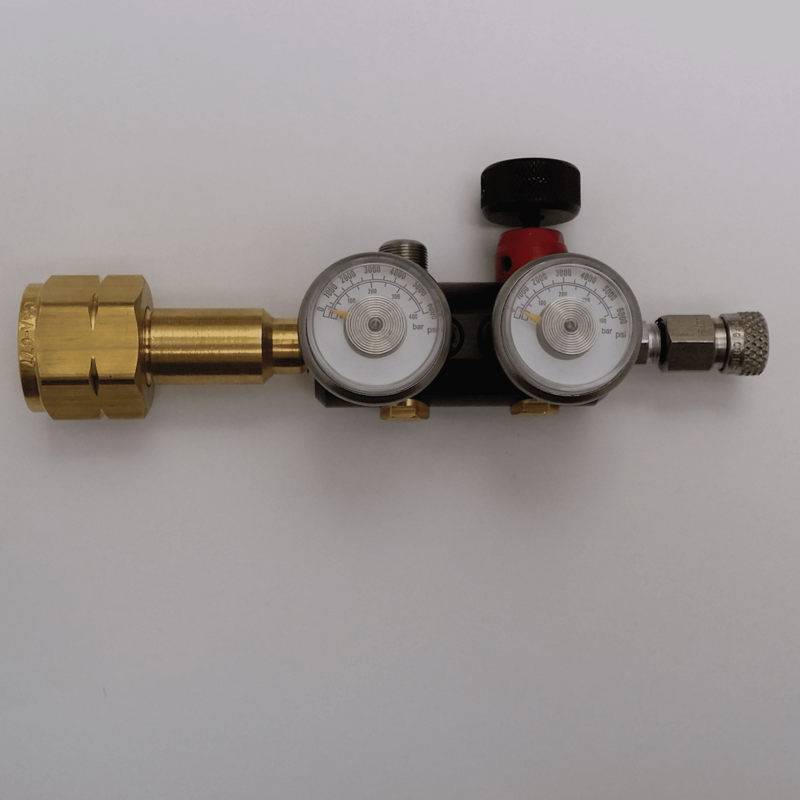 High pressure regulator for air rifles. 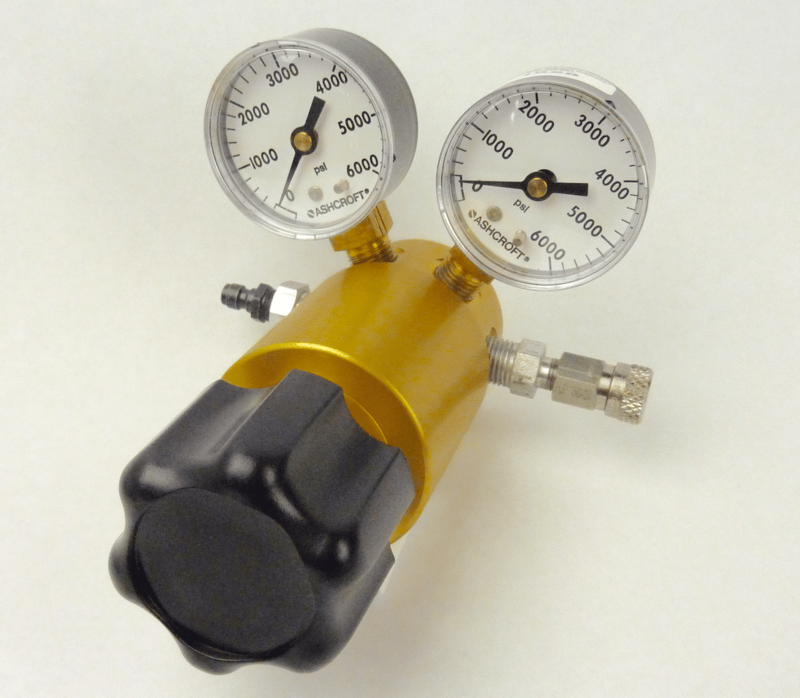 Inline high pressure regulator for bigbore airguns. If you are bench shooting bigbore air rifles at longer distances or shooting other airguns a regulator is a great piece of gear. 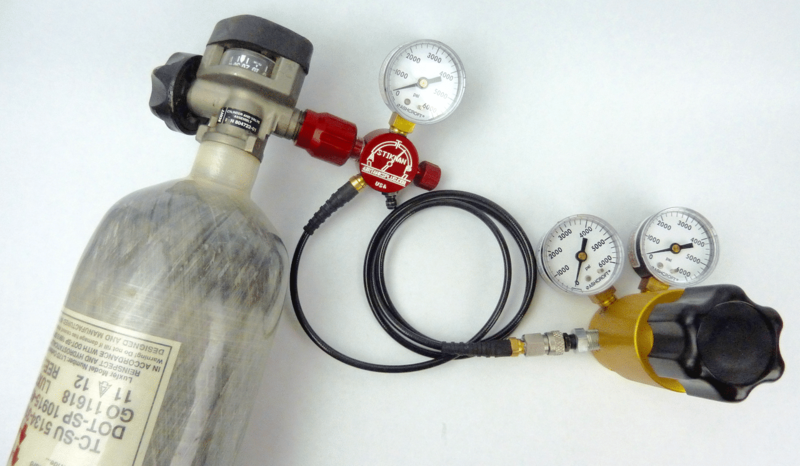 If you are shooting just one airgun at regulated pressures below 3000 psi a better solution may be our $299 Ninja regulated bottle kits. If you have multiple airguns and you want the ability to change the regulated pressure by turning a knob this is the way to go. In most cases you can tether and regulate airguns that use the male foster fill niples. 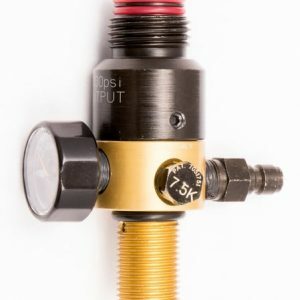 Connect your PCP Fill Adaptor ( not included) to the male foster fitting on the regulator. Then connect one end of your fill whip (not included) to the female Foster (regulated output) on the regulator. 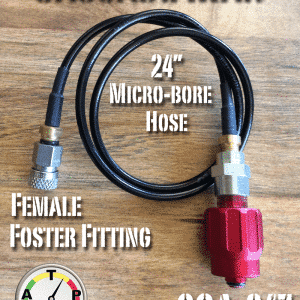 Next connect the other end of the fill whip to your airgun. 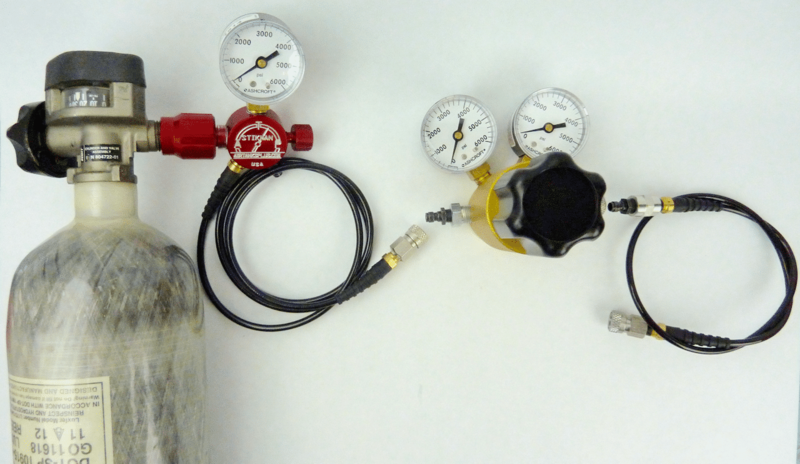 Ensure the regulator is set to the minimum pressure, then close the bleed valve on your fill adaptor. 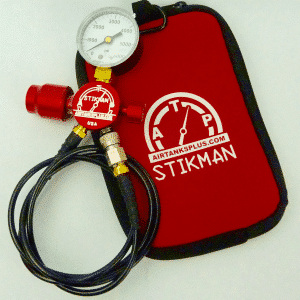 Slowly open the valve on the air tank and adjust output pressure on the regulator until you reach the desired fill pressure. Please be careful not to over fill your airgun!